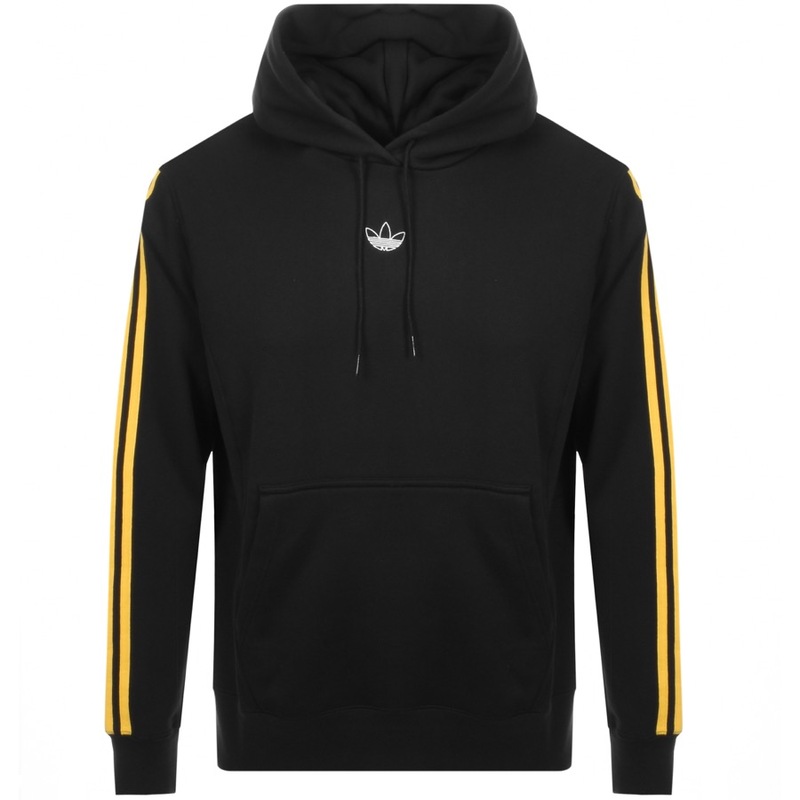 adidas Originals FT BBall Logo Hoodie In Black, A large hood featuring drawstrings with a ribbed waistband and ribbed cuffs on the long sleeves. The signature Adidas Three Stripes feature down each sleeve in yellow. A large kangaroo style pouch pocket on the waist with the outline of the signature Adidas Trefoil logo embroidered on the chest in white. Soft fleece interior. 100% Cotton. Part Of The Huge Range Of Adidas Track Tops Jumpers And Hoodies Live Online.